After many leaks, lawsuits and U-turns, Toshiba is set to sell its prized flash-memory unit to Bain and partners for $18 bln. A successful sale would fix the balance sheet and placate lenders. It also reduces a Japanese industrial icon to a ragbag of barely profitable businesses. A shareholder arrives at Toshiba's extraordinary shareholders meeting in Chiba, Japan March 30, 2017. Toshiba agreed to sell its memory-chip unit to a consortium led by Bain Capital for about 2 trillion yen ($18 billion), the Japanese electronics group said on Sept. 20. The unit, Toshiba Memory Corp, is the world’s second-largest producer of NAND flash memory. 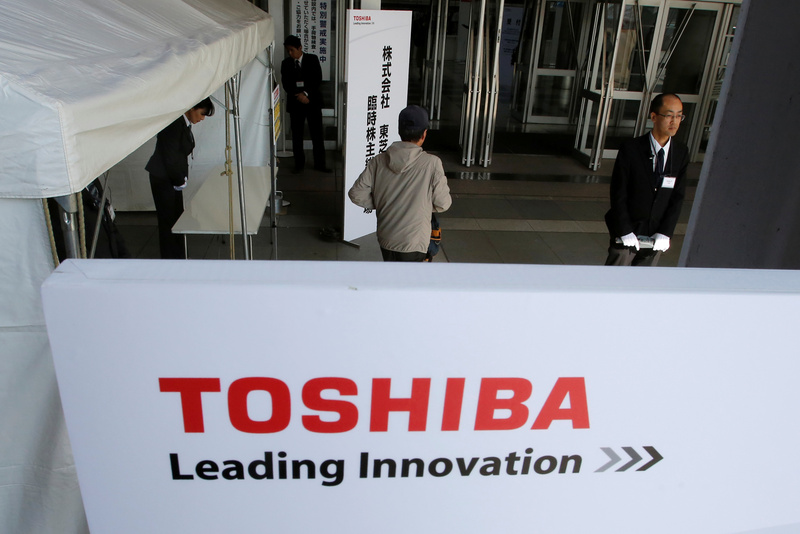 The agreement comes a week after Toshiba said it had signed a non-binding “memorandum of understanding” with Bain, with both sides aiming to reach a deal by the end of September. Bain later said it was working with a “broad list of strategic partners” including Apple, Dell, Kingston and Seagate. Bain was competing for the unit with rival bidding groups led by Western Digital, a joint venture partner of Toshiba, and Taiwan’s Foxconn, also known as Hon Hai. Toshiba said the agreement assumed the deal would weather legal challenges raised by Western Digital. A spokeswoman for the latter told Reuters it had no immediate comment.